At a durbar in Kumasi on May 3, 1980, to climax a novelty Kotoko week celebration, Ohene Djan was officially introduced to the Kotoko family. His maxim was that Kotoko and Hearts were the engines of Ghana football and as the leaders, they must plan together to make Ghana football tick. No wonder as soon as Hearts of Oak named the supporter's groups as Chapters, Kotoko also formed the Circles. Simms was such a team player and a friendly character. 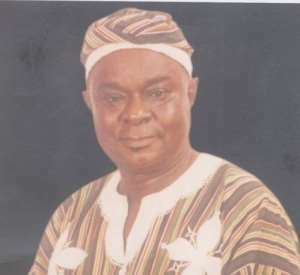 Ghana football has lost a forward-looking administrator who was extremely eager to enjoy the company of sports writers.